"Culture is key to what makes cities attractive, creative and sustainable. History shows that culture is at the heart of urban development, evidenced through cultural landmarks, heritage and traditions. Without culture, cities as vibrant life-spaces do not exist; they are merely concrete and steel constructions, prone to social degradation and fracture. It is culture that makes the difference." (UNESCO, 2016)  . Culture which widely refers to values, beliefs, knowledge and wisdom  has become recognized as a powerful source of sustainable development. Considerations for culture in sustainable development are indispensable for respecting and satisfying people before and after policy development and implementation processes. Culture and tourism can complementarily interact with each other as tourist destinations inevitably involve the interface of their rich and diverse heritage, art, religion and other elements that represent the unique characteristics of their daily lives. With its close-knit relation of culture to our daily life, culture not only reduces barriers to economic development for local communities through tourism, but also provides easier access to cultural differences for tourists. In 2004, UNCTAD read this trend, stating "if the 49 Least Developed Countries (LDCs) are taken together, tourism is the single most important source of foreign exchange earnings"  . Utilizing the unique culture of a community, which is the great resource of tourism, can be a cost-effective measure of economic development with its less invested infrastructure compared to other industries. 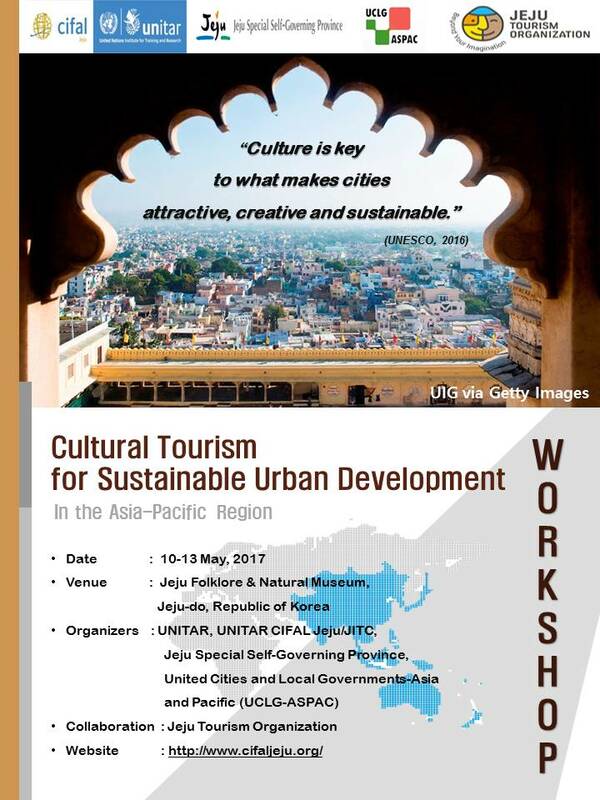 · Provide an opportunity for the local governments and cities in the Asia-Pacific region to exchange cultural tourism policies and best practices through city-to-city cooperation. · Coordinate partnerships to effectively promote the benefits of cultural tourism policies with civil societies, government and local entrepreneurs. Central/local authorities and Representatives from NGOs, regional and community-based organizations, academic and training institutions and other local actors, who are working in the field of cultural tourism within the Asia-Pacific region. ** This event will be held in parallel with the 2nd UCLG Culture Summit, providing opportunities to network with multiple stakeholders all around the world.